I was inspired to make these earrings after I got finished making a similar necklace in my shop. The necklace was so unique, so different....I thought, " It's only fair to make matching earrings. Nothing else would come close to matching this!" 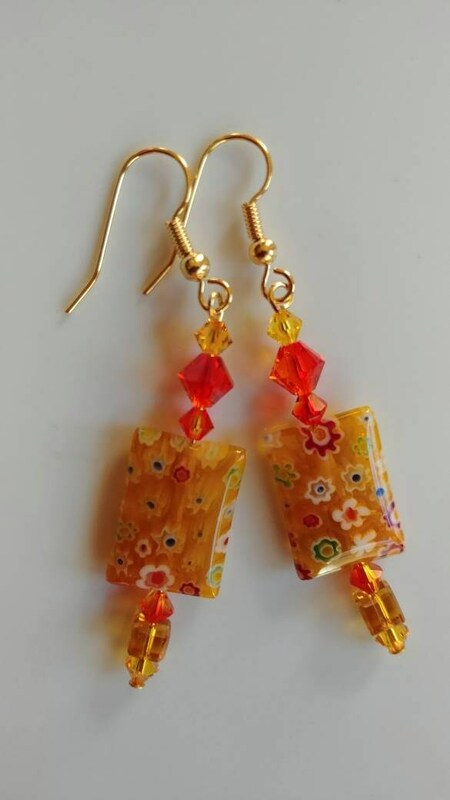 So...I took out my supplies and made dangle earrings that are 2.5 inches of stunning Swarovski crystal elements and Millefiori glass beads! 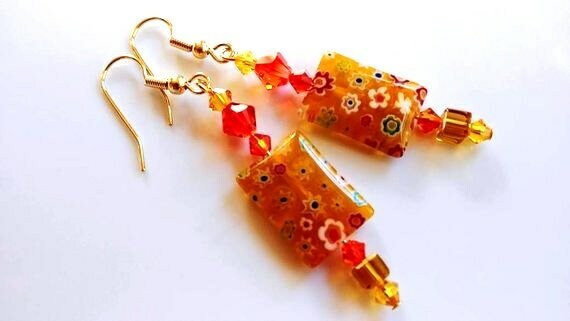 The Millefiori beads are 0.75 inches x 0.5 inches.